A warm welcome to my guest blogger, Jenne Acevedo, freelance editor, writer, and speaker. Jenne is the director of PENCON, and I’m thrilled to have her here to tell you all about it! Are you considering a career in editing? Maybe you’ve been editing for a while and are needing fellowship with other editors. 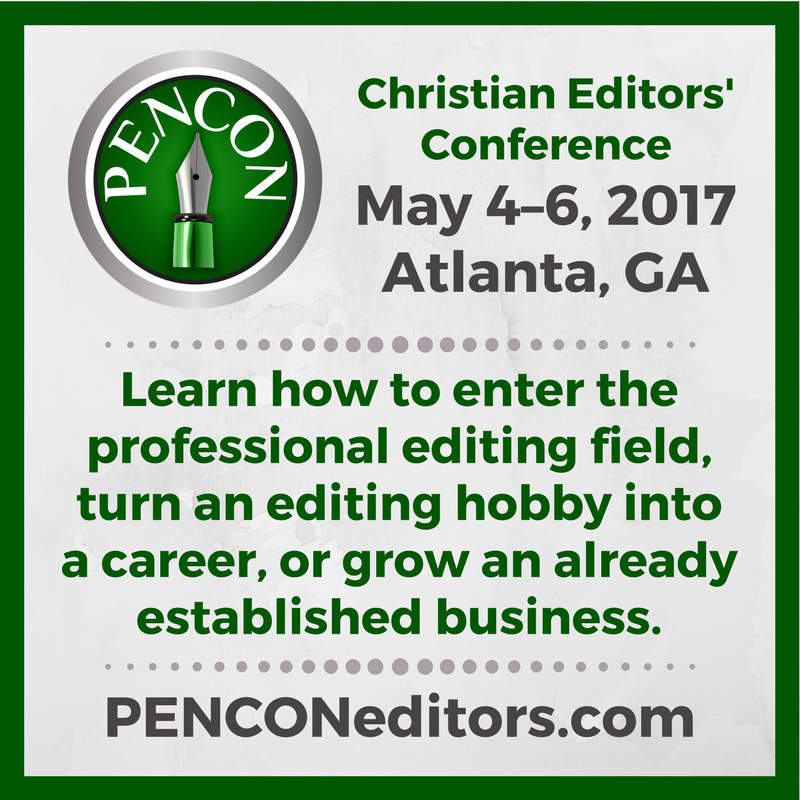 Each year Christian editors gather from across the country to learn and network at PENCON. Perhaps it’s just the right place for you to be. This year the fourth annual conference will be held May 4–6, 2017, in Atlanta, Georgia. Don’t miss this chance to hear Cecil Murphey at his last scheduled speaking engagement or Cindy Woodsmall as she gives the inside scoop about what it’s like to work with a best-selling author. Our incredible faculty will be teaching about working with publishing houses, editing children’s books, and more. Get to know the speakers or review the full session list online. Seasoned professionals and aspiring editors alike will attend workshops and panels on a variety of topics related to editing for private clients and publishers. Attendees can meet one-on-one with faculty members and do something editors rarely have the opportunity to do—network with one another face to face. How wonderful it is to sit among like-minded people and talk about fun things like dependent clauses, in-house style guides, and what’s going to be in the 2017 edition of The Chicago Manual of Style! You can learn how to enter the professional editing field, turn an editing hobby into a career, or grow an already established business. As the only conference for editors in the Christian market, PENCON’s mission is to equip and encourage Christian editors in cooperative competition through networking. Attendees will gain valuable knowledge about the editing industry and form lasting friendships within an established support group. PENCON will be held at DoubleTree by Hilton Hotel Atlanta – Buckhead. Room reservations can be made at the group rate through 4/13/17 using the link on the PENCON website. Save money by letting us help you find a roommate. Register online for $270 before registration closes on 4/17/17 or register at the door for $300. Members of The Christian PEN receive discounts on registration depending on their level of membership. For more information and to register, visit PENCONeditors.com. PENCON is a division of Christian Editor Network LLC, which has been providing education, networking, and community for Christian editors and proofreaders since 2004. Visit ChristianEditorNetwork.com for more information. Jenne Acevedo is a freelance editor, writer, and speaker who encourages and assists writers in their journeys to publication. 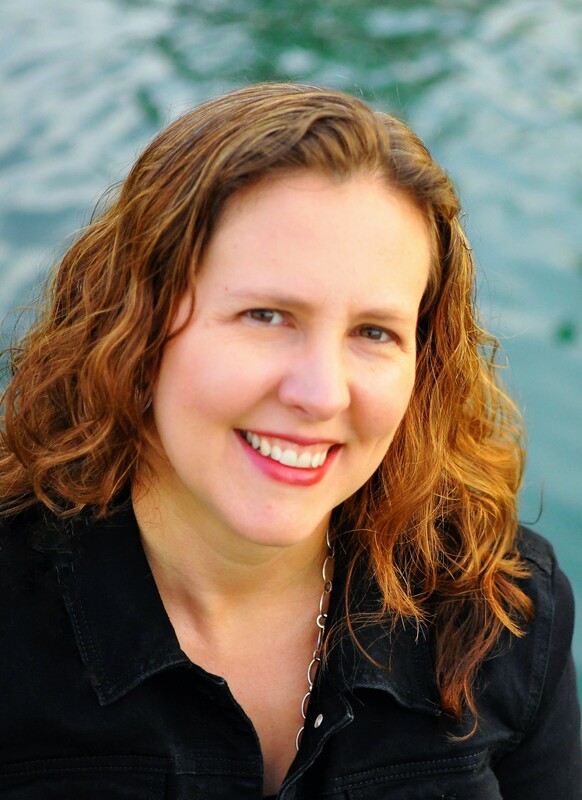 She is a co-owner of Christian Editor Network LLC, the director of The Christian PEN: Proofreaders and Editors Network, the director of PENCON, a member of the Christian Editor Connection, and a member of American Christian Writers Association. Jenne also leads the Chandler Writers’ Group, which she started in 2011. Find out more about Jenne at JenneAcevedo.com.